Last Sunday , 4th March 2012 , Nature's co organized an event to celebrate the spirit of womanhood and invited few bloggers to get acquainted with the brand and to have a feel of the products. There Ms.Rashmi Sarda, Regional Manager for Operations gave us a tour of the store explaining the concept behind the brand and the elements of 5 different ranges which are inspired by the 5 elements of nature which also reflects in the store, its very cosy and warm and even the walls have a very earthy finish to it. Each and every detail of the store is designed keeping in mind the theme of the brand to reflect the products. Visit their site HERE to see the entire list of products in FACE , BODY BATH HAIR and WELLNESS category. As you must have guessed from the name, the products from this range have fruit extracts which gives flavors and beneficial properties to the product. Aquaspark: The abundance of the oceans and rivers and all they hold find expression here. The rich aquatic; coastal ingredients in these products, like moss, red algae and seaweed hydrate and replenish while invigorating and refreshing your day. *I tried the Lily of the Valley body lotion and it smells so refreshing and flowery, not overpowering but very pleasing and relaxing . ***According to Rashmi the Fuller's Earth face Pack works really amazing, it works similar to Multani mitti, but it doesn't dry up the skin and removes all the toxins and excess oils from your skin. wash Basin - Isn't that cute ? 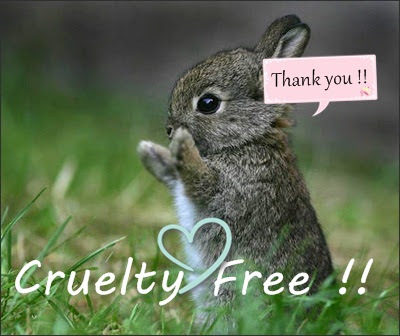 Whats makes Nature's Co special is that all the products are natual and vegan, no animal extracts are used in the making of the products and the products are Cruelty Free, no animal is harmed in the making of these products. Nature's Co is an eco friendly brand. The material that has been used for packaging is recyclable and bio-degradable. In addition to it, they have Recycle bins in the stores where consumers can bring back the empty bottle to get them recycled for which customers even get discounts! What could be better than a complimentary spa treatment , at TNC you can avail a any spa service for free of cost. I would really recommend you to visit the store if you haven't , as at TNC they don't force products on to costumers they patiently listen to your skin issues and suggest products according to your needs. They have a good variety of products to work for different skin needs, as all products are natural and vegetarian they are less likely to break you out or cause any irritation unless you have a very sensitive skin that has allergy to any natural ingredient. I hope you enjoyed this post, do let me know which is your favorite TNC product.